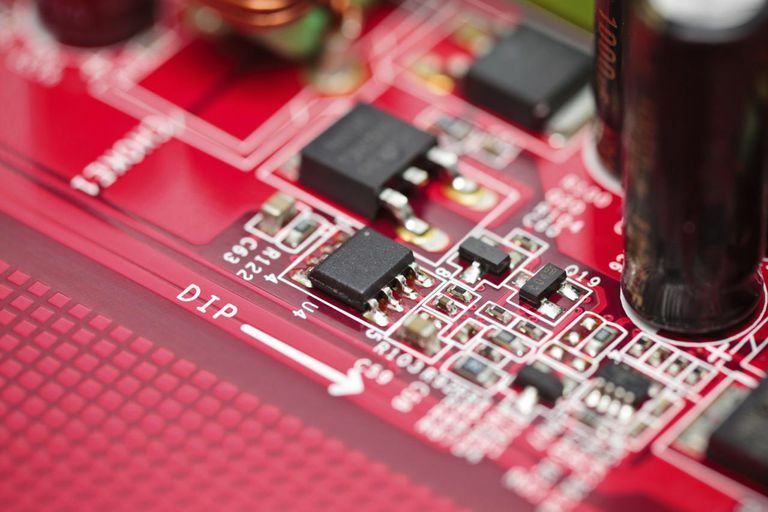 Modern technology is made possible thanks to a class of materials called semiconductors. All active components, integrated circuits, microchips, transistors, as well as many sensors are built with semiconductor materials. While silicon is the most widely used and best-known semiconductor material used in electronics, a wide range of semiconductors is used including Germanium, Gallium Arsenide, Silicon Carbide, as well as organic semiconductors. Each material brings certain advantages to the table such as cost/performance ratio, high-speed operation, high-temperature, or the desired response to a signal. What makes semiconductors so useful is the ability to precisely control their electrical properties and behavior during the manufacturing process. Semiconductor properties are controlled by adding small amounts of impurities in the semiconductor through a process called doping, with different impurities and concentrations producing different effects. By controlling the doping, the way electrical current moves through a semiconductor can be controlled. In a typical conductor, like copper, electrons carry the current and act as the charge carrier. In semiconductors both electrons and 'holes,' the absence of an electron, act as charge carriers. By controlling the doping of the semiconductor, the conductivity, and the charge carrier can be tailored to be either electron or hole based. There are two types of doping, N-type, and P-type. N-type dopants, typically phosphorus or arsenic, have five electrons, which when added to a semiconductor provides an extra free electron. Since electrons have a negative charge, a material doped this way is called N-type. P-type dopants, such as boron and gallium, only have three electrons which result in the absence of an electron in the semiconductor crystal, effectively creating a hole or a positive charge, hence the name P-type. Both N-type and P-type dopants, even in minute quantities, will make a semiconductor a decent conductor. However, N-type and P-type semiconductors are not very special by themselves, being just decent conductors. However, when you place them in contact with each other, forming a P-N junction, you get some very different and very useful behaviors. A P-N junction, unlike each material separately, does not act like a conductor. Rather than allowing current to flow in either direction, a P-N junction only allows current to flow in one direction, creating a basic diode. Applying a voltage across a P-N junction in the forward direction (forward bias) helps the electrons in the N-type region combine with the holes in the P-type region. Attempting to reverse the flow of current (reverse bias) through the diode forces the electrons and holes apart which prevent current from flowing across the junction. Combining P-N junctions in other ways opens the doors to other semiconductor components, such as the transistor. A basic transistor is made from the combination of the junction of three N-type and P-type materials rather than the two used in a diode. Combining these materials yields the NPN and PNP transistors which are known as bipolar junction transistors or BJTs. The center, or base, region BJT allows the transistor to act as a switch or amplifier. While NPN and PNP transistors may look like two diodes placed back to back, which would block all current from flowing in either direction. When the center layer is forward biased so that a small current flows through the center layer, the properties of the diode formed with the center layer change to allow a much larger current to flow across the entire device. This behavior gives a transistor the capability to amplify small currents and to act as a switch turning a current source on or off. A variety of types of transistors and other semiconductor devices can be made by combining P-N junctions in a number of ways, from advanced, special function transistors to controlled diodes. The following are just a few of the components made from careful combinations of P-N junctions. In addition to the current control that semiconductors allow, they also have properties that make for effective sensors. They can be made to be sensitive to changes in temperature, pressure, and light. A change in resistance is the most common type of response for a semi-conductive sensor. A few of the types of sensors made possible by semiconductor properties are listed below.